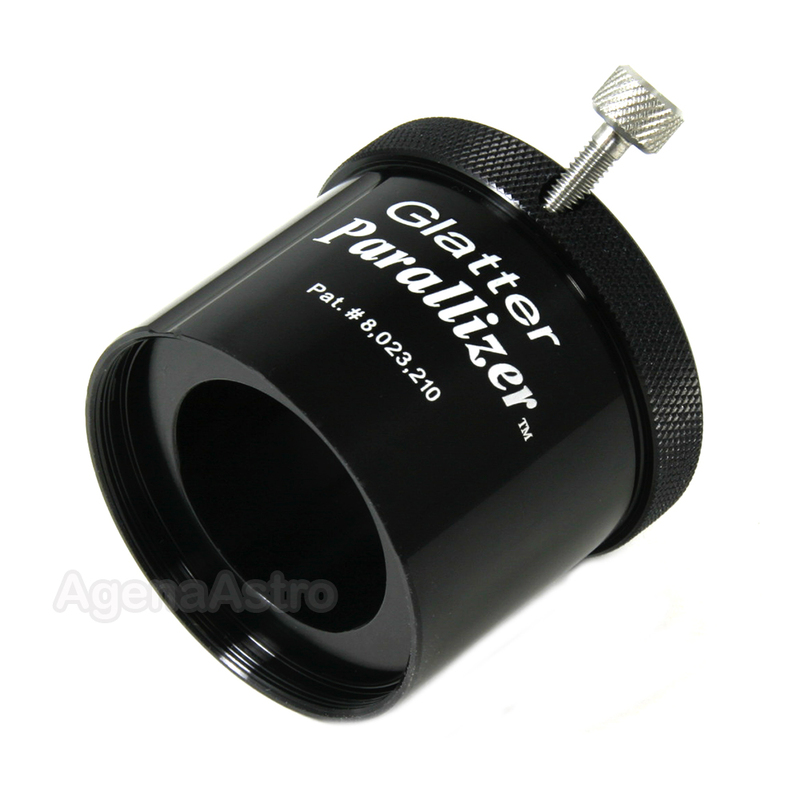 The Howie Glatter Parallizer is a 2" to 1.25" adapter that ensures eyepieces, imaging equipment, and collimating devices remain parallel to the drawtube of the focuser even when the clamp screw of the adapter is tightened. This is especially important in fast optical systems such as Dobsonians and refractors because an angular misalignment of even a few arcminutes can cause image degradation for visual observing and imaging. While most 2" to 1.25" eyepiece adapters ensure optical elements are adequately centered from side to side, even if offset slightly by clamping, precise angular alignment in the drawtube is not assured by most adapters. The easy-to-use Howie Glatter Parallizer eyepiece adapter works by clamping each cylindrical surface between two parallel straight edges to secure stable alignment. Much like dropping a cylinder into a V-block in a car engine, the Parallizer provides a precise, tight, and wiggle-free fit. The adapter's non-marring clamp screw is set at 45 degrees and pushes the accessory down against the adapter flange when tightened. The patented HG-Parallizer has zero in-focus loss, requires no screw slot to seat fully in a drawtube, and comes threaded for 48mm (2") filters. 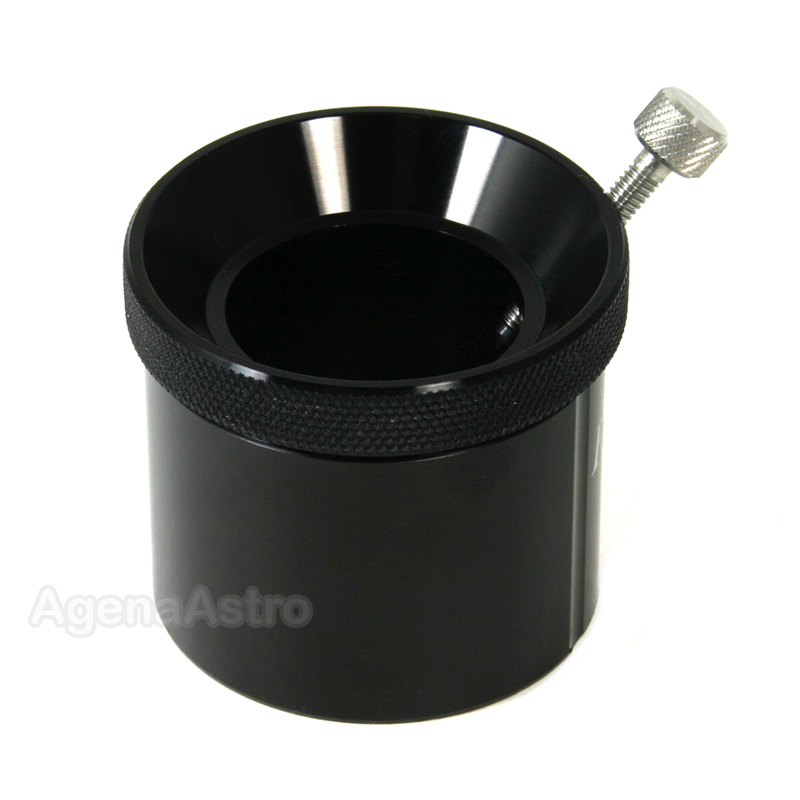 The Parallizer was selected as a Sky and Telescope Hot Product for 2012. As Sky & Telescope says, "It’s simple . . and it works . . !" Howie Glatter was one of the most well-known and trusted names in astronomy lasers and collimation accessories. His uncompromising quality and dedication to excellence not only put his products above the rest - but in high demand as the finest available on today's astronomy market. Howie passed away in 2017 but his legacy continues! His superbly crafted products are once again offered under license by Starlight Instruments (makers of the famed Feather Touch line of focusers and accessories) who machined most of Howie's products for years even before his passing away.